Should our fees be stuffing the pockets of USG members? When I arrived in the U.S. as an Australian exchange student, there were plenty of differences I noticed: the football culture, the sea of Seawolves merch and Starbucks venti iced coffees in the hands of every second person I walked past on campus. But the one thing I didn’t expect was more academically-focused than red cups and frat parties: students in the Stony Brook Undergraduate Student Government (USG) get paid. After attending a Senate meeting, I learned that the 23 student senators and seven-member executive committee are compensated for 6 to 15 hours of work per week, with hourly rates ranging from just above minimum wage to nearly $16. These work hours include time spent attending weekly Senate meetings or holding office hours in the Student Activities Center (SAC). I was even more shocked when I discovered the money they received came directly from the Student Activities Fee we all have to foot the bill for. Don’t get me wrong. I think student government bodies do fantastic work. I have sat on a similar committee at my university back home and can attest to the time and effort that goes into holding a position, particularly one on an executive board. But this was the first time I had ever heard of students getting remunerated for this type of work and am questioning whether it is ethical. When there is no money on the table, one would expect students to run for government because they are passionate about the university, want to gain leadership experience and perhaps even boost their LinkedIn portfolio. But, once money is put on the table, it muddies the water. How are we to know whether a student, who has been elected to represent the entire student body, is there for the right reasons? Given that a number of USG members ran unopposed at the previous election, I think it’s a fair question to ask. However, the issue that more directly affects the student body, is the fact that this money comes straight from our pockets. The current USG committee has yet to release details of its budget; however, the previous committee, which managed a budget of about $3 million, set aside $175,000 for student payroll alone, which doesn’t include the professional staff who work in admin and manage the books. Of course, most of the budget — which is drawn from the Student Activities Fee — pays for events like Wolfieland and helps fund hundreds of clubs on campus. But, nearly $200,000 is set aside to pay our peers for holding office hours in the SAC? That’s a whole lot of money that could be allocated elsewhere. USG President Justas Klimavicius said the compensation was “earned” particularly because students did not receive any extra credit for USG. Klimavicius said the money didn’t motivate him to run for USG, but it would deter others if compensation was taken away. I understand the sentiment, that it’s nice to be acknowledged for hard work. 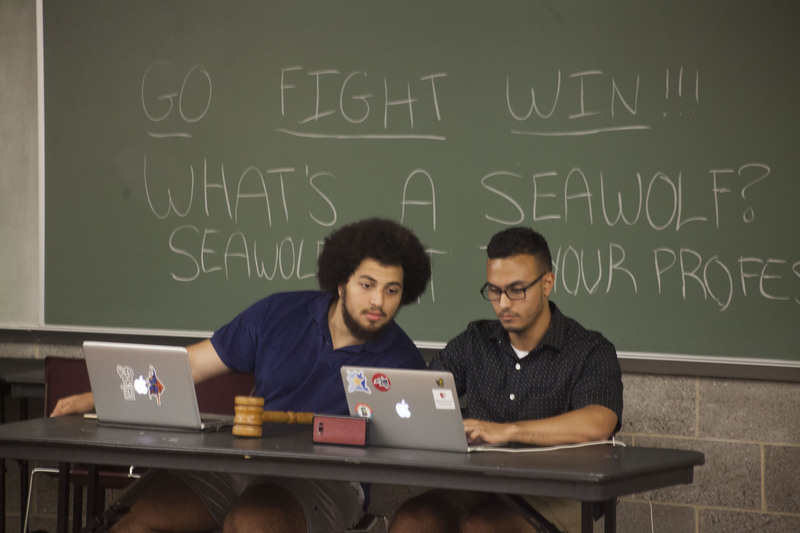 But if dozens of Stony Brook student-run executive boards, from sporting clubs to The Statesman, can operate effectively without any personal monetary gain, surely the central student government can too.